A funny thing happened while serving children around the world. We learned principles that could easily be applied to ministry in the U.S. In our quest to continually develop world-class children’s ministry curriculum, we realized we needed to import knowledge and ideas, rather than just exporting them. We cannot assume a baseline of “Christian” understanding exists for a child. We must be willing to teach the entire narrative of the Bible to completely introduce them to their God and his provision through Jesus Christ. Watch your kids “get it” as you lead them through the epic story of creation to the cross in the first two books in the series. See them grasp key scripture as they memorize verses together, building a strong foundation of faith. Your leaders will see the eternal value of their role and be passionate to serve. We invite you to use TruthSeekers as a tool in your ministry, whether you use it as a stand alone or in conjunction with current children’s programming. It functions well in unique places that you find kids because it’s leader-led and group-paced. TruthSeekers is a four-year program that disciples your kids in doctrine systematically with one verse each week, seeking to build a strong foundation so kids come to know, love, and serve the Lord Jesus Christ. TruthSeekers can stand alone or be used in conjunction with current children programming. It is also an excellent outreach tool as it functions well in unique places that you find kids as it is leader-led and group- paced. These lessons consist of effective, clear, foundational teaching of the need for a Savior coupled with the realization of sin. 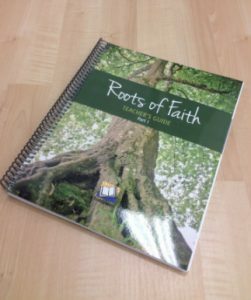 Teaching builds on Roots of Faith, Part 1 with teaching that focuses on Jesus as the deliverer that we are all in need of. This study, based in Acts, focuses on Christian discipleship, how to live as a Christian. TruthSeekers Teacher’s Guides – Teacher’s Guides contain instructions to help you teach through each part of a meeting. A typical meeting consists of a Large Group Time where the Bible lesson is taught, a Small Group Time where Scripture memory and meaning is stressed , and a fun, exciting activity or game time. The Teacher’s Guides can also be used as a stand – alone resource for teaching Large Group time only. TruthSeekers Small Group Handbook – These handbooks are meant to be used by a leader during their small group time. 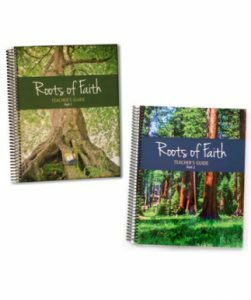 It contains everything needed to lead a group of students through Large Group Time review and Scripture memorization as well as understanding the meaning and application of the biblical truth and verse. TruthSeekers is a four year curriculum that lays a strong biblical foundation through the chronological teaching of Scripture. It is flexible, adaptable, and affordable to any context. When and how often should it be used? TruthSeekers contains lessons for an entire year and can be used for 33-52 weeks. When you run it is up to you – Sunday – Saturday, morning or night. It is adaptable to any context or timeframe. How many leaders are needed to run Truthseekers? We equip you to use TruthSeekers in multiple ways. First, we have created a curriculum that is simple to use and has leader helps embedded in the materials. Second, we can connect you with regional training events conducted by our local ministry staff. Finally, there are free downloadable resources available. Who is the target age for the curriculum? TruthSeekers is structured so that is can be used for elementary and middle school students. While the curriculum provides foundational teaching, it is encouraged that you add/subtract to fit your context – whether that is the age of the student or the time available to meet. Can this be used at home? What about parents? TruthSeekers is written to be taught in a church setting but there is nothing stopping you from using it for home discipleship. We do provide reproducible take-home pages for the students to bring home, which allows the parent to be aware and involved. These pages are found in the Small Group Handbook under “Let’s Think It Through Activity” section in each lesson. TruthSeekers comes from the ministry of Awana. With 60+ years of experience in ministry, we bring our expertise in curriculum and program development for children, youth, and adults in cultural contexts impacting over 100 countries.